When Chet left H.O.C. and it dissolved , Dean Clark, a good friend of Chet's, had no idea what to do next. Under suggestion from Chet, Dean took 4 or 5 of his best H.O.C. refuse customers and opened up a repair and paint shop. 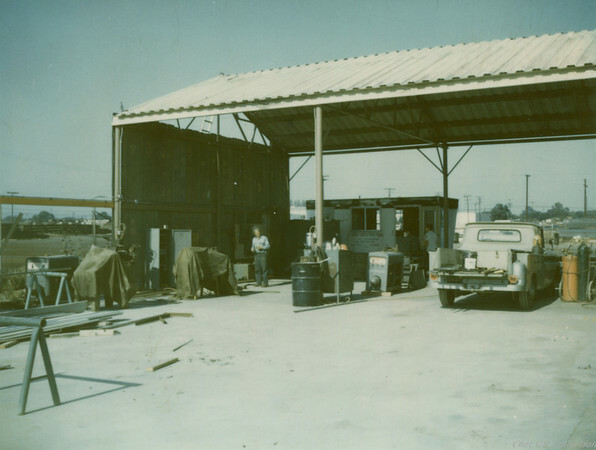 This advice served Dean well and when Chet decided to start his own company in 1970, Dean offered him the unused back lot of his business property on Imperial Hwy in Santa Fe Springs. 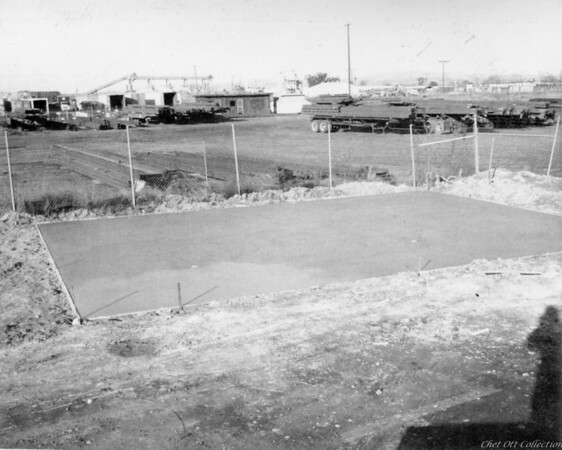 Chet hit the ground running and wasted no time getting the property ready to start building bodies. He did all the hand labor, electrical, plumbing, cement and steel. Within 30 days he had steel on the property ready to be turned into Front Loaders. He made Dean a silent partner due to their friendship and use of the property. 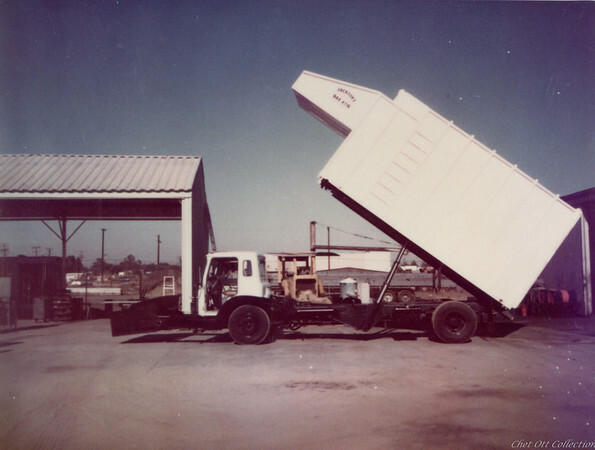 Many of Chet's first customers were the haulers he had developed a relationship with at H.O.C. 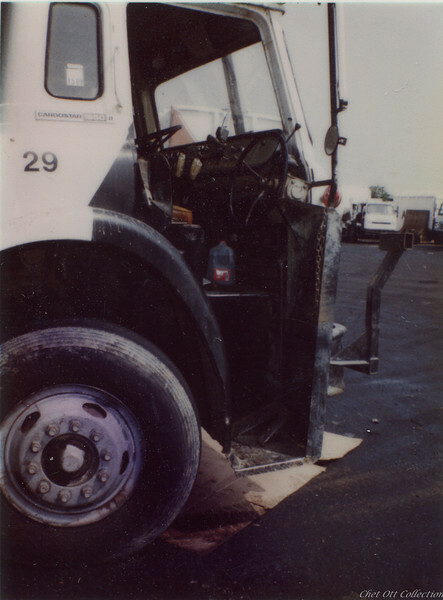 Never one to cut corners or skimp on quality, once a truck left the C&O property, it rarely came back for repair. C&O quickly adopted the motto "Builds Better Bodies" because he built his trucks to last, reinforced by his character and reputation. With a wealth of knowledge in many aspects of manufacturing and design, Chet could solve the problems any customer brought to him. With many of his trucks special designed to serve his customer’s needs, he quickly became the go to guy. 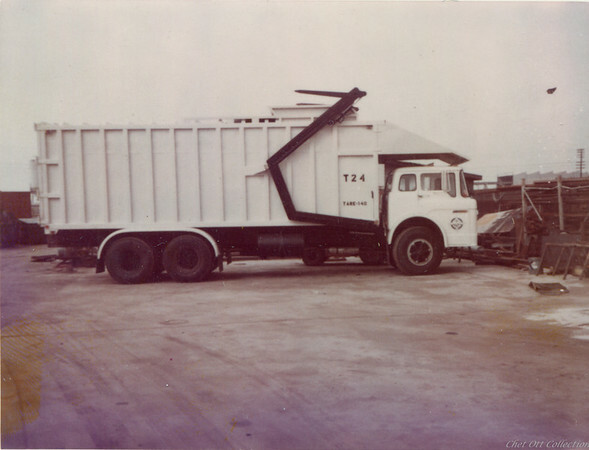 Caption read: "First C&O crew"
C&O offered the standard litany of refuse equipment: Top, Partial and Full Pack Front Loaders, Roll-offs, Stationary Compactors and Manual Side Loaders. 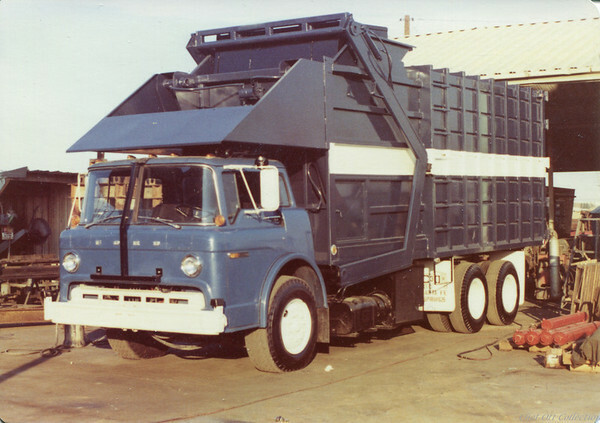 They specialized in the residential application for Front and Side Loaders, often doing an in-house Right Hand Stand-Up Drive (RHD) conversion for any cab-over chassis. 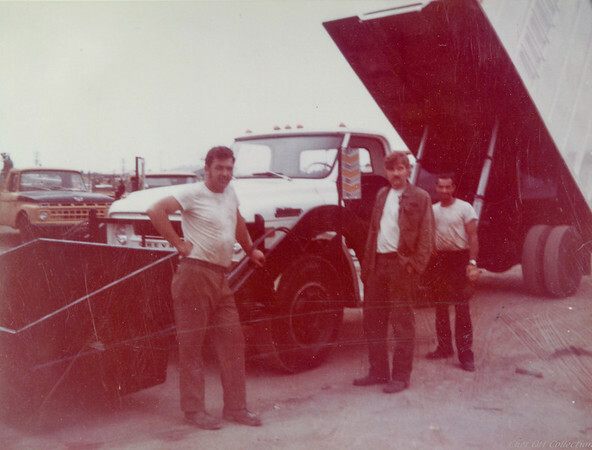 Chet recalls this story: "E-Z Pack representatives came by one day and wanted to look at the RHD conversion we did to a Ford COE for Cal San or somebody. They asked if they could take measurements and pictures. I asked them why and they replied 'If we went to our engineer' and asked them to come up with this, it would take years! We just want to copy what you've done." Throughout the 1970's, C&O continued to grow, increase their customer base and reputation. Dean Clark, an avid private pilot, was killed on a return trip from Reno while flying his kit-built aircraft in 1979. The City of Midway placed a bid for some new full packs and C&O won. 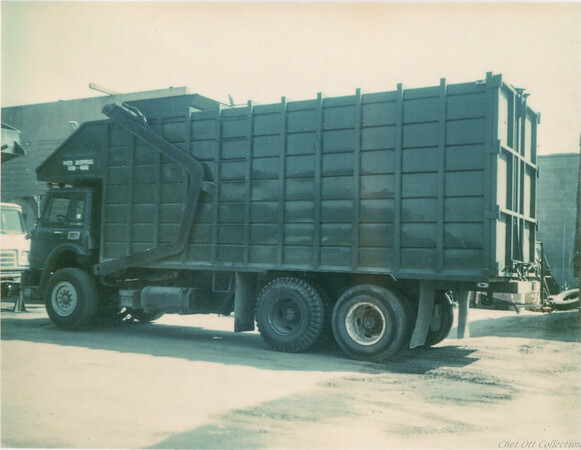 This was one of the Full-Pack trucks they built in 1975. It is a 24ft body and used a 242" stroke cylinder. What is most interesting about this truck is how similar it looks to a Western Body and Hoist Full Pack, also made for Midway City. At first look, you might mistake this 1975 C&O Full-Pack for a Western Body and Hoist Full Pack. Western used that wide gauge ribbing on all their trucks. There is alsoWestern sales literature showing a truck almost identical to this one built for the Midway City!